Warner Brothers has released photos from the upcoming Sherlock Holmes film. 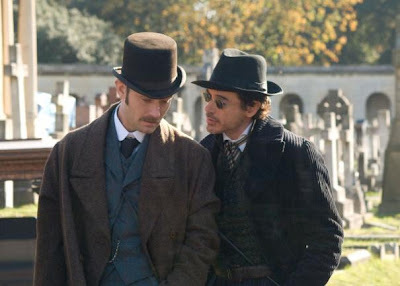 Sherlock Holmes also stars Rachel McAdams and Mark Strong, and is directed by Guy Ritchie. Sherlock Holmes will be released on November 20th, 2008.